If you are looking for a machine that allows you to confidently tackle work and play, then this HP Pavilion 17-e020us Notebook PC is worth considering. Featuring a large display, this unit delivers stunning color and graphics. It is equipped with multiple connectivity ports, a built-in DVD player, and a numeric keypad, providing a variety of conveniences to meet your needs. With Windows 8 HP True Vision HD Webcam, this HP Pavilion 17 17-e020us 17.3-Inch Laptop always come off looking your best even in low light. And you don’t need to worry about the safety of your notebook’s data. The HP Protect Smart will keep your notebook’s data safe from accidental bumps and bruises. 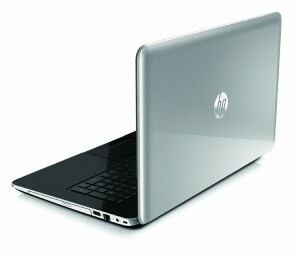 The HP Cool Sense is designed to keep your notebook cool so you can stay comfortable. HP Connected Photo powered by Snap fish, allowing to sync photos across your PC, Smartphone, and tablet. You can crop, rotate, add captions, and more, then share in seconds with friends and family through your social networks. You can get the most out of the tunes you love today and discover more music in a whole new way since the HP Connected Music is powered by Meridian. Enhance your experience by browsing your CDs, downloads, Internet radio, and streaming services-all together in one place. Providing webcam app, the powerful photo and video editing-even an enhanced video experience, the cyber link is designed to meet all your entertainment needs. And you can enjoy the dynamic and subtle nuances with rich sounds thanks to DTS Sound+.